Music Director Scott Halligan, Principal Lynn Dole, and the Mohawk High School student body enjoying the show! On Friday, October 18, Dr. Kathy Bullock gave an inspiring presentation to our high school students. She had everyone in the auditorium singing and dancing in a presentation that wove together musical performance with historical context as she recounted elements of African-American history and the evolution of musical forms and traditions. Dr. Bullock, her sister Dr. Dee (Diane White-Clayton), and her brother-in-law Joe Clayton met with students in Scott Halligan’s chorus course before the event, and the presentation began and ended with our high school chorus students performing on stage with our honored guests. It was a powerful experience for everyone involved. 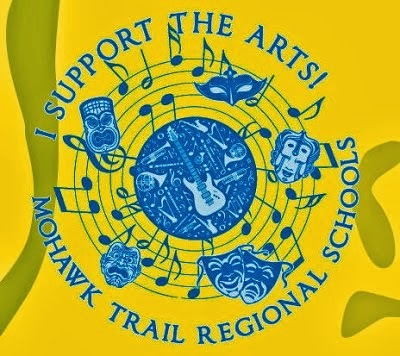 Dr. Bullock’s presentation to Mohawk students was made possible through the generous support of the Mohawk Music Association and MAEC (Mohawk Arts and Education Council). A week after Booster Day, we hosted musician and educator Dr. Kathy Bullock at Mohawk. Dr. Bullock gave an inspiring presentation to the high school on African American Music that had the whole school moving, singing, and laughing together! She also worked with our High School Concert Chorus in an impromptu rehearsal that was simply unforgettable!